It is perhaps one of the most important steps in starting your own Phoenix business. It’s not drafting a business plan, or even obtaining funding; though of course those are important steps. I’m talking about choosing a name for your business. A business name will communicate what your business does and will come to be associated with you. It should be broad enough so you don’t have to limit your business, but should also be descriptive at the same time. 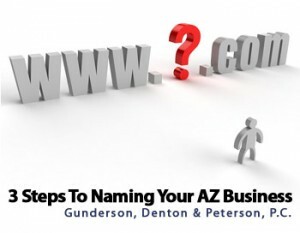 To choose the perfect name for your new Phoenix business, use these helpful steps. With so many PHX businesses out there, it can be hard to find a name that is not in use. A great option is to coin a name. A coined name can be even more powerful than choosing a few existing words. If you are going to go this route, do not get caught in trying to be too fancy. New, made-up words can get too complex, and may cause some confusion with buyers. Instead, try going for a mix of real and made-up by using a new form or different spelling of existing words. A great example of this is the computer company Compaq, which needed a name when they begin touting a new “compact” computer. 2. Check if your names are trademarked. Once you have come up with a few descriptive names, you will need to do a trademark search. 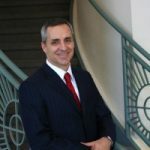 Although it is not necessary to trademark your business name (it is, however, a good idea) it is prudent to make sure you are not infringing on someone else’s trademark. Otherwise, imagine your business is up and running and you are just about to turn a profit when a business you have never heard of sends you legal papers stating you are infringing on their trademark. The legal battle alone could drain all your money. It’s better to do your research, and maybe pay to have your own name trademarked, than risk facing an ugly battle later on. 3. Make your final decision. Once your possible names have passed the trademark test, you can make your final decision on your name. Think about what you want your business to portray, and also which name best fits what your business actually does. Say each name out loud, and see which feels the best to you. After all, you will be speaking, reading, and typing this name for years to come. Imagine how a potential customer would perceive it upon hearing it for the first time. You may also want to test out the names on friends and family, or a small focus group. Choosing the right name for your business is an important step. The name you pick should appeal to your customers, as well as yourself. It should also convey what it is your business does, but it should not be confusing. The right name will be a powerful asset for your Phoenix business for as long as it exists.